Round Window. 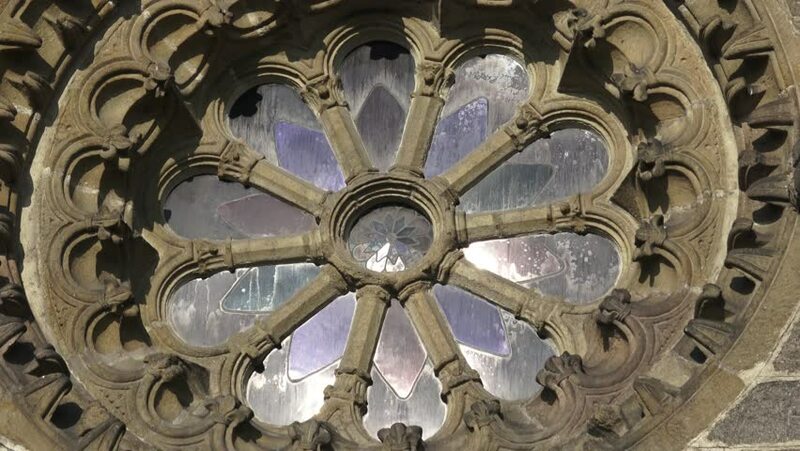 Round window with stained glass on facade of the building. 4k00:12Detail of medieval calendar Prague Astronomical Clock (Prazsky orloj) in Prague, Czech Republic. The third-oldest astronomical clock in the world and the oldest one still working since 1410.